IBHS is one of the largest independent suppliers of Boilerhouse equipment. Industrial Boilerhouse Supplies Ltd is a leading independent supplier for Boiler Spare Parts. Formed in 1993 by David Holland, Industrial Boilerhouse Supplies Ltd was initially involved with the supply of industrial burner spare parts. From this the company quickly developed, by stocking and supplying steam & hot water boiler spare parts it has enabled IBHS to become a pivotal single source solution to all public and private sector boiler houses worldwide. 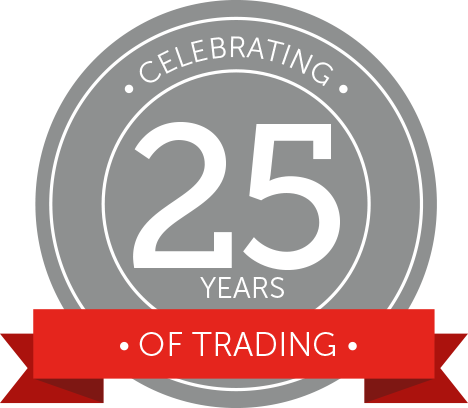 Industrial Boilerhouse Supplies Ltd has now been trading for over 25 years and is now firmly established as one of the UK’s largest independent stockists of boiler house plant facility spare parts, which provides a national and international delivery service of top quality spare parts. Industrial Boilerhouse Supplies Ltd, with its headquarters in Southern England, provides spare parts to a global market out of its privately owned facility. The success of the company can be attributed to its efficiency, reliability, product knowledge, stocking ability, flexibility and all of this comes with a passionate understanding of the customers requirements. By Incorporating Goodway Tube Cleaning & Heritage Steam Supplies in to the IBHS Ltd name, they serve to focus on the different specialised markets while complementing the core business. As an independent world leader within the industry, IBHS Ltd are large enough to cope, yet small enough to care. IBHS Ltd offers an accurate, speedy, professional and fast spare parts service. We are an independent supplier of Boilerhouse spare parts and ancillaries offering a single source supply of boiler plant parts & equipment. Established, experienced and committed to sourcing spare parts for a wide variety and range of industrial/commercial steam and hot water boiler along with associated boiler plant equipment and consumables. We offer a professional, fast and reliable national and international delivery service distributing parts all over the world from our head office warehouse on the south coast of England. Holding an extensive stock of genuine replacement parts and components we pride ourselves on continuously monitoring products and stock levels to ensure consistency of our service, ensuring quality of products at the right price.